It’s been a busy year, but I wanted to provide a behind-the-scenes look of how my work has culminated in the past year. 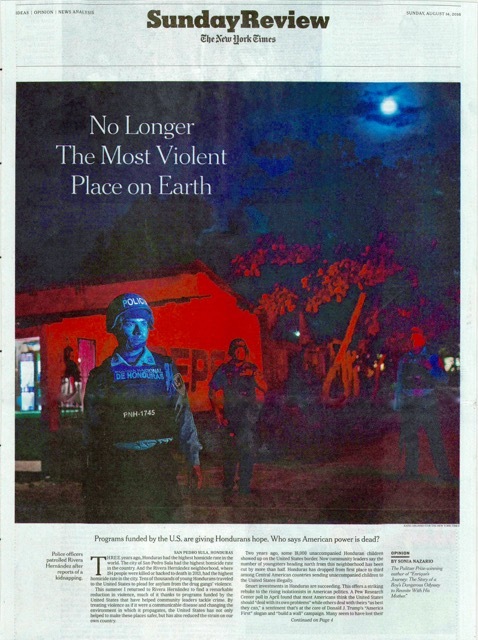 In June, I spent two weeks in Honduras reporting a piece for the New York Times about how foreign aid, applied to prevention and intervention programs in the most violent neighborhoods, is helping reduce crimes and homicides significantly. Here are some photos from that trip. 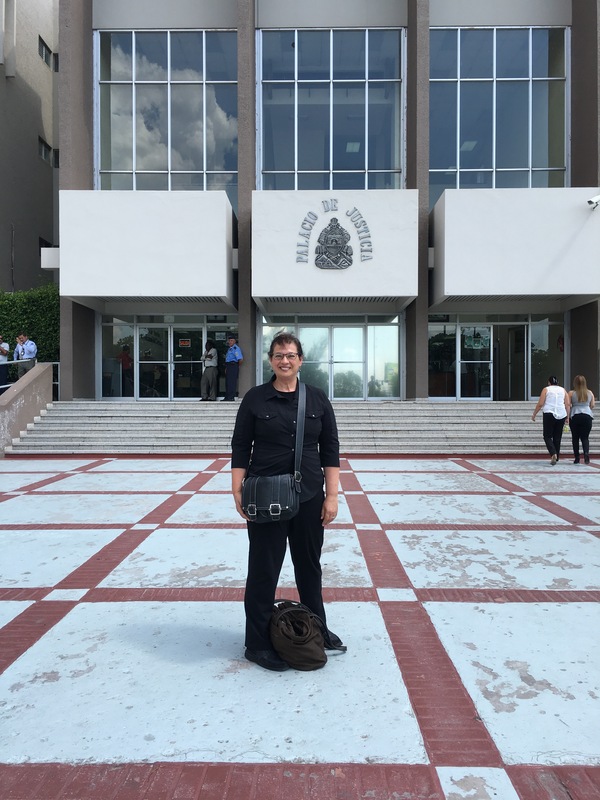 I spent a week in Tegucigalpa talking to experts. This is in front of the Palace of Justice. I happened to be in town on the one year anniversary of Los Indignados, a group that marches every Friday night to demand action against corruption. About 250 people marched on the presidential palace, including this 87 year old. Many were carrying torches. 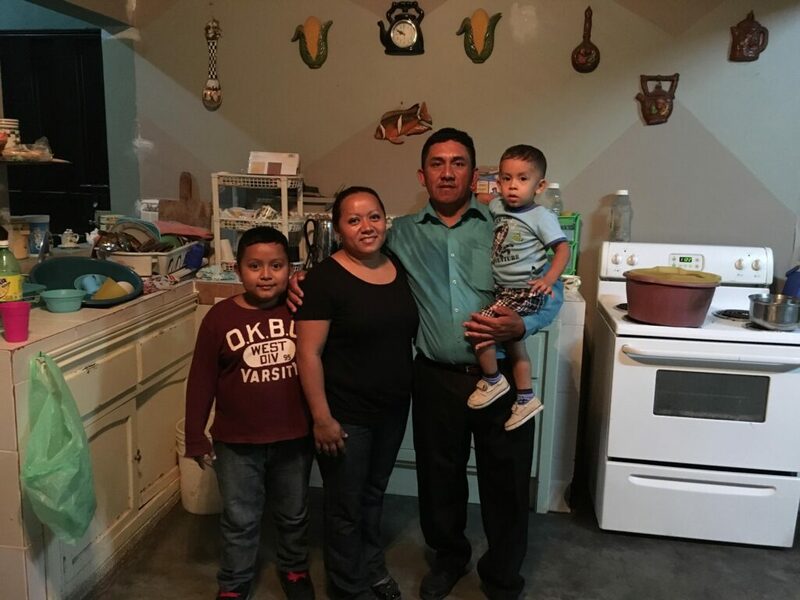 I also visited with Enrique’s family in Honduras, including his sister, Belky, and her husband and two sons. They had just finished expanding their tiny home to accommodate their growing family. Then I landed in San Pedro Sula. Until recently, it was considered the murder capitol of the world. 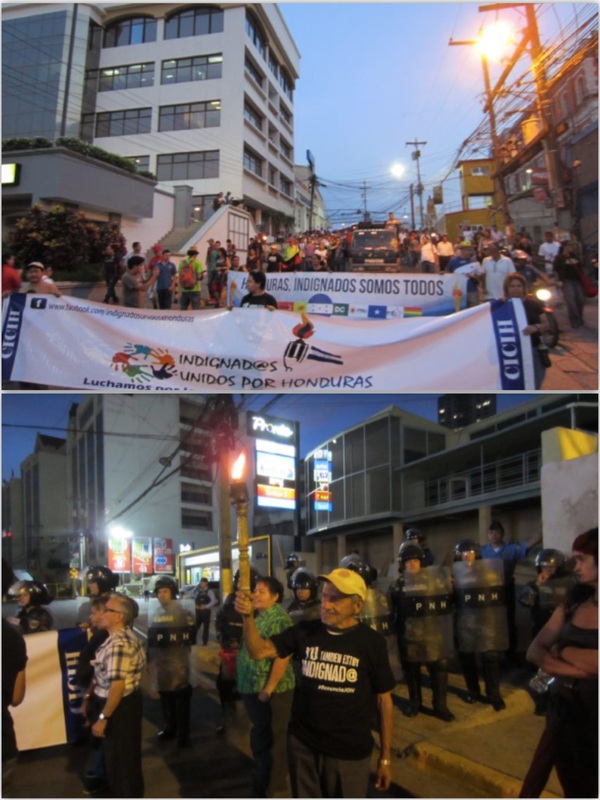 In Honduras, which had the highest homicide rates of any country in the world, San Pedro Sula was its most violent city. Honduras long ago was called the original banana republic. 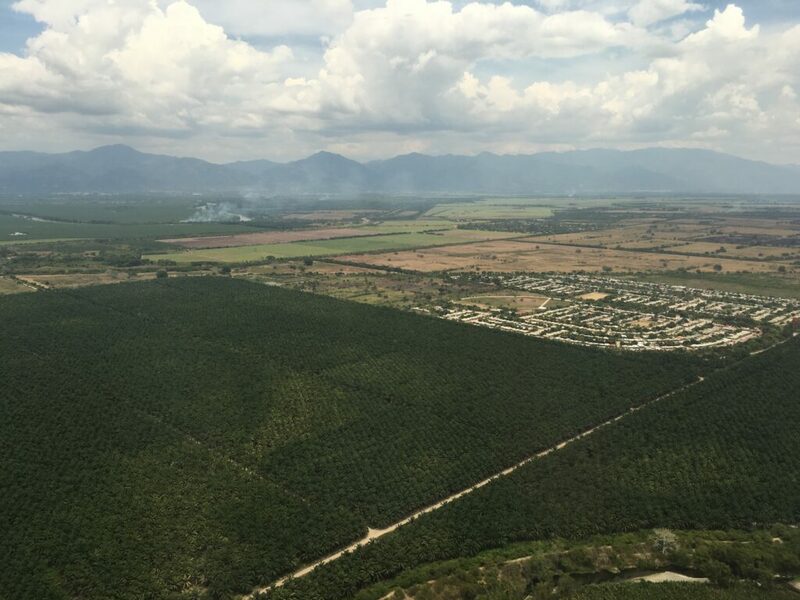 When I landed in San Pedro Sula, there were banana trees as far as the eye could see. 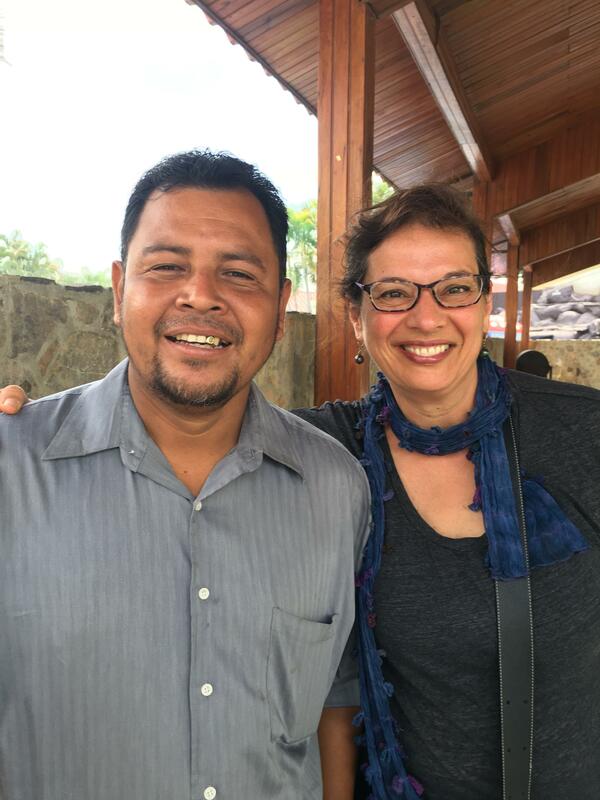 I met some amazing people in San Pedro Sula’s Rivera Hernández neighborhood, including evangelical pastor Daniel Pacheco. He works with gangs and children to lower violence in the neighborhood. One thing he did was bring children from rival gang neighborhoods together to view an animated film in the middle of the street at night. Pastor Pacheco also tries to bring people from warring gang neighborhoods together to play soccer. It’s all part of reclaiming public spaces in a neighborhood not long ago deemed so violent that children couldn’t go outside in the day time. 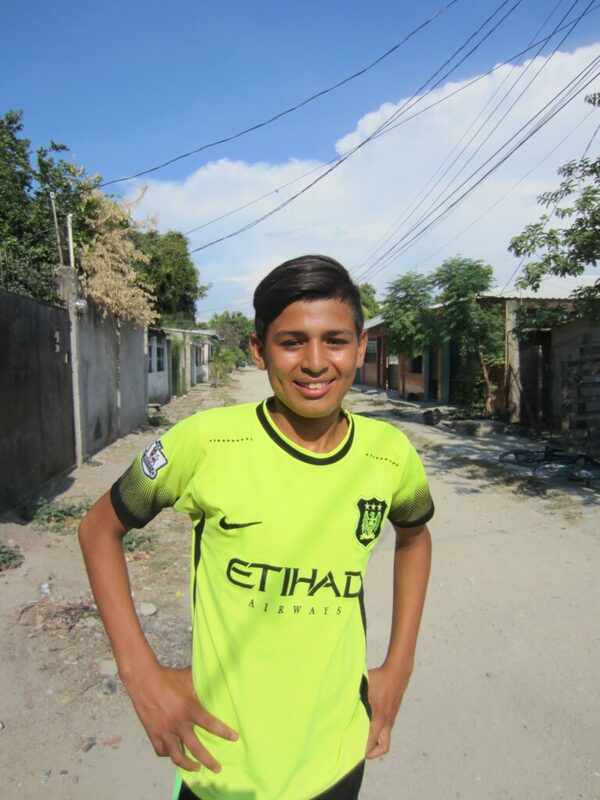 I met boys like Carlos Manuel Escobar, 14, who saw so much violence growing up that two years ago he thought he would leave Honduras and ride on top of freight trains to get to the U.S. Now, things have improved enough in Rivera Hernández that he’s decided to stay. The six gangs that control the Rivera Hernández neighborhood are so powerful that they go to homeowners, and threaten to kill them if they don’t leave. The owners abandoned their homes, and the gangsters then strip them and sell roofs, toilets, electrical wires, everything. About 1,000 neighborhood homes have been abandoned and stripped. 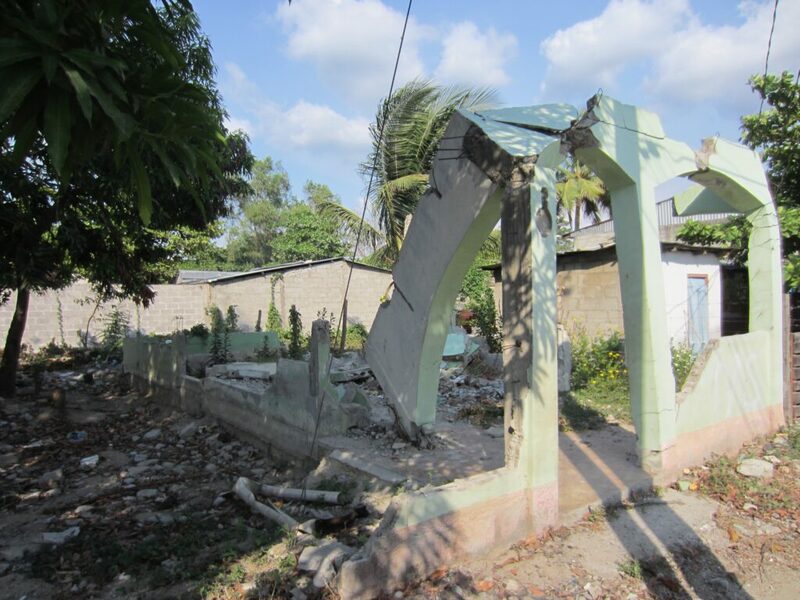 Parts of Rivera Hernández look like they have been bombed. I also met Pastor Arnold Linares. 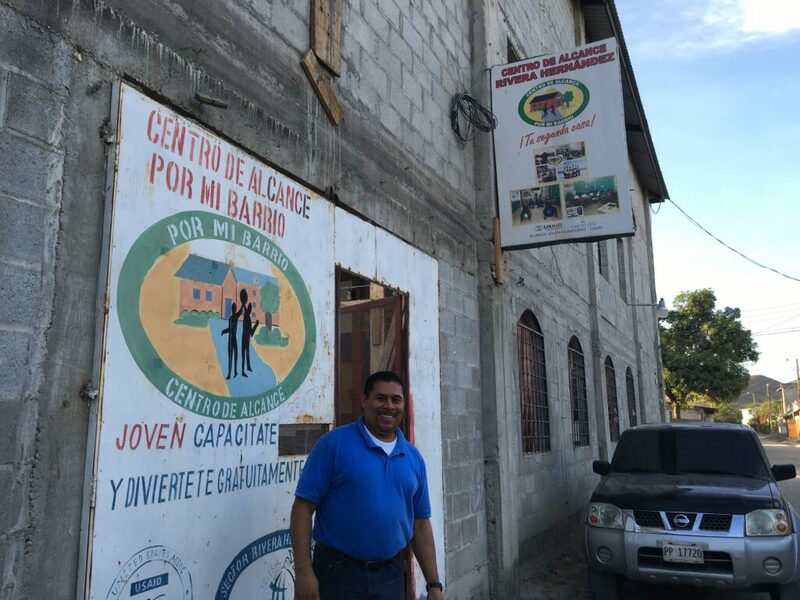 He has been doing gang intervention work for more than a decade, and in 2010 opened the first outreach center, or Centro de Alcance, for children with the help of the U.S. government. The center provides children a place to go after school, to play, to learn English or how to use a computer or a trade, and to get help finding jobs. There’s still a long way to go to reduce violence and poverty enough so children feel like they don’t have to migrate to be safe. Half of the children in one of the worst parts of this neighborhood don’t own a pair of shoes. Many are malnourished and have distended bellies. Poverty has actually increased in Honduras since 2010. Unemployment and underemployment are at 62%. And gangs still control these neighborhoods with an iron fist. Still, the U.S. programs are helping. I’ve had a very eventful year in so many other ways. I attended a play by the Jewish Women’s Theatre called Chutzpah and Salsa with two friends. The play was about Latina Jews and included my personal story. 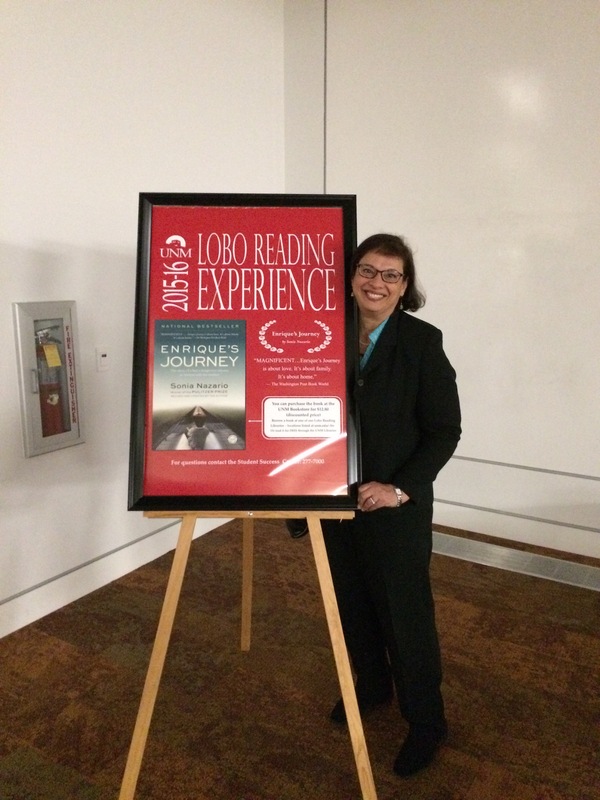 Other rewarding experiences have been visiting the many universities that have made Enrique’s Journey a common or freshman read, like at the University of New Mexico. This fall, I’ll be at Michigan State, Missouri State, Georgia State, and Georgia Southern, among many others. 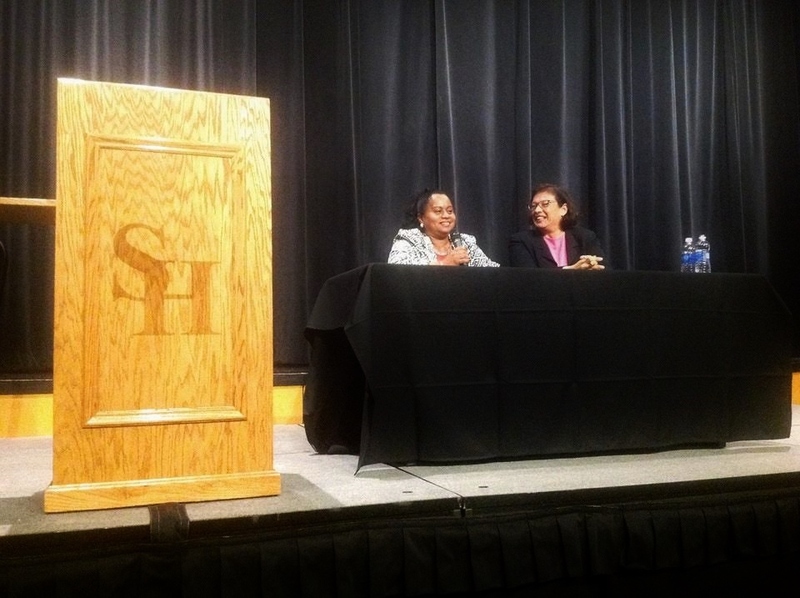 I was able to visit Sam Houston State University near Houston, Texas, with Lourdes, Enrique’s mother. She and I visited an amazing art installation of works that were created by students and inspired by Enrique’s story. 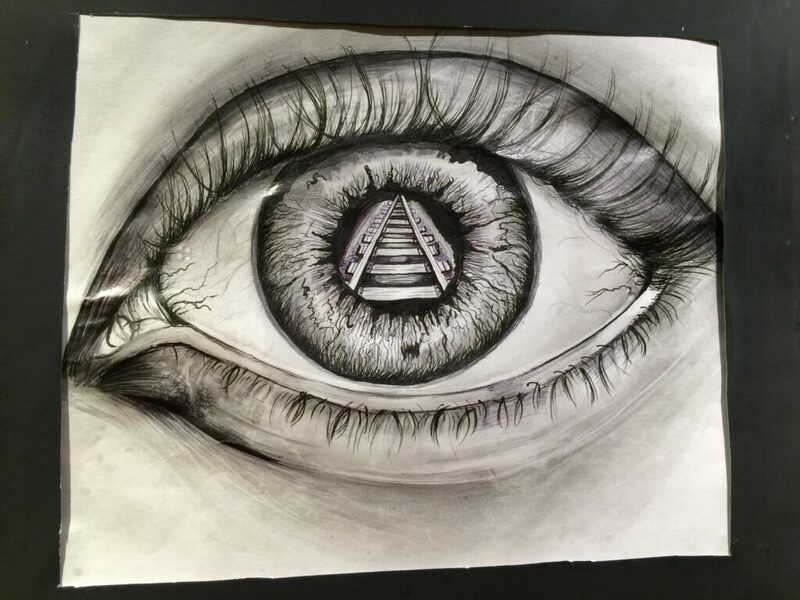 I held a fundraiser for Olga Sánchez Martinez, the incredible woman in my book who has a shelter for migrants who are mutilated by trains in Chiapas, Mexico. Olga now also has a shelter for refugee women and children fleeing Honduras, El Salvador, and Guatemala. 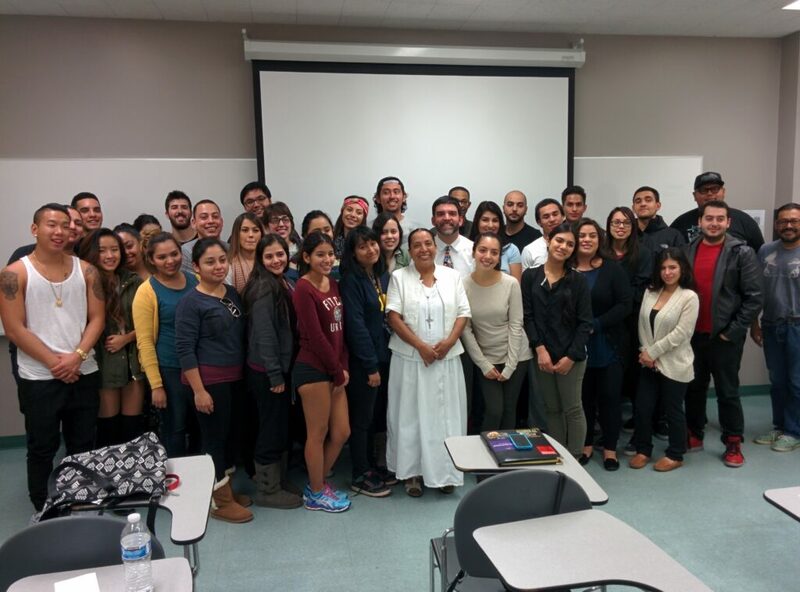 Olga Sanchez Martinez (center, wearing white) visited a class at California State University, Northridge in November 2015. 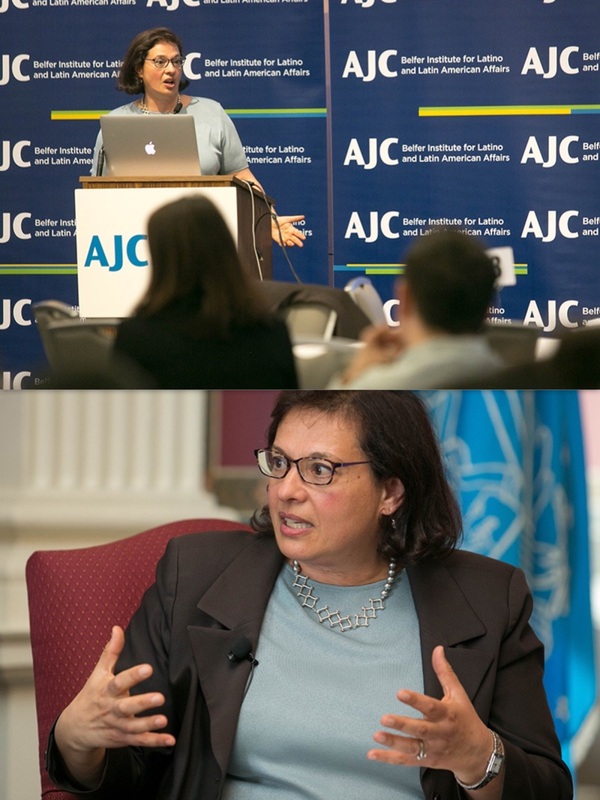 Sonia Nazario, author of “Enrique’s Journey” speaks at Adas Israel to a packed house about the current state of immigration, particularly as it pertains to children, from Central America to the United States at an event hosted by the American Jewish Committee’s Arthur and Rochelle Belfer Institute for Latino and Latin American Affairs in partnership with KIND, Kids in Need of Defense, on Tuesday, April 19, 2016. // Sonia Nazario, author of “Enrique’s Journey” speaks at the Library of Congress to members of Congress and their staff about the current state of immigration, particularly as it pertains to children, from Central America to the United States at an event hosted by the American Jewish Committee’s Arthur and Rochelle Belfer Institute for Latino and Latin American Affairs on Tuesday, April 19, 2016.